If you have been arrested in Mecklenburg County and are facing charges for DWI, possession of drugs or weapons, or another crime, it is possible to minimize the negative consequences of these cases and move forward toward a successful future. Whether you have simply made a bad choice and are facing a minor traffic violation, or you’ve been charged with a more serious crime, there are legal options available to you. Criminal Defense attorneys Todd Browning and Howard Long are both former assistant district attorneys in Mecklenburg County who are now focused on protecting the rights and defending the freedoms of those charged with DWI, traffic violations, and serious crimes in the Charlotte area. With their unique experience, Browning & Long, PLLC offers clients the benefit of knowing how the other side approaches these cases and are able to skillfully identify opportunities for a solid defense. We represent those facing criminal charges throughout the Charlotte area including Cornelius, Davidson, Huntersville, Mint Hill, Pineville, and Matthews. Call us today at (980) 207-3355 or fill out our online contact form for a prompt response from a member of our legal team. DWI Arrests. Driving while impaired and related charges can result in severe punishments. Fines, loss of driving privileges, and even jail time can result from drunk driving charges in North Carolina. Our legal team can help investigate the circumstances, prepare a comprehensive case, and defend clients in DWI and other cases, including underage drinking, boating while impaired, open container, etc. Traffic Tickets. While many people regard these offenses as minor, they can leave individuals facing serious consequences. Fines, insurance rate increases, license points, loss of driving privileges, and more can follow drivers for many years, leading to unnecessary personal and financial strain. Criminal Charges. Being charged with any crime in North Carolina is a serious matter. The consequences of conviction are severe and can change the course of your life forever. Whether you have been charged with a misdemeanor or felony, our legal team can help you prepare a comprehensive case to reach the most favorable outcome possible. We handle all types of criminal charges, including general misdemeanors and probation issues to drug offenses and violent crimes. Family Law. Being in a deteriorating or difficult family situation is extremely stressful and intimidating. Our legal team seeks to take the stress out of these traumatic events by answering your questions, laying out your options, and zealously advocating on your behalf. If you aren’t sure if your case is something we handle, or if you even need a lawyer, don’t hesitate to reach out to us. Call our Charlotte office at (980) 207-3355 to speak with Todd or Howard. We can answer your questions and help you decide the best course of action. Why Do I Need a Lawyer to Fight My Charges in North Carolina? Handling document preparation and filing deadlines. Answering your questions and offering a practical view of your situation. Working with witnesses and investigators to build a comprehensive case. Representing your interests before a judge or jury. While it is possible to resolve some straightforward cases yourself, skilled legal representation typically offers clients more legal options and obtains the most positive results possible. Many of those charged with a DWI or other crime are concerned about what a lawyer will cost. Once we know more about the specific situation, we will discuss cost upfront to minimize the burden of financial surprises during this process. Our fees are competitive with other attorneys that handle similar cases, but our experience and the level of service our clients receive is unmatched. Facing criminal charges, DWI, or other traffic violations can be scary. The stakes are high, and many of our clients have little experience with the law. It is natural to have many questions and concerns about how the charges will potentially affect you and your family. If you’ve been charged with a crime in Mecklenburg County, even if you’ve tried to go it alone at first, don’t hesitate to contact the criminal defense attorneys at Browning & Long, PLLC. We can help you find the answers you need and get started preparing an effective defense. Let our experience and knowledge of the law help you obtain the best possible outcome for your unique legal situation. If you or someone you love is facing criminal charges in Charlotte, call our legal team today at (980) 207-3355 or fill out our online contact form for a prompt response from a member of our team. As former prosecutors, our lawyers have an intimate understanding of the perspective from the other side. We know what to anticipate in court because we have been there and understand what tactics they may employ. This helps us to prepare more thoroughly and be ready to address all potential aspects of your case. We pride ourselves in being available to our clients and providing ongoing support throughout the entire legal process. 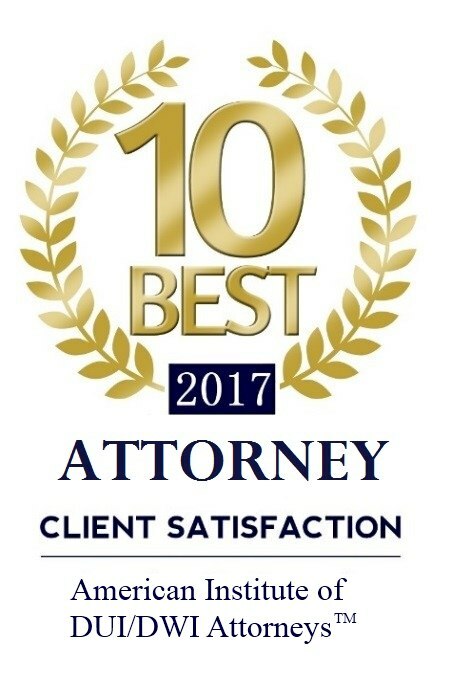 We will respond promptly to your questions and concerns to encourage a strong, effective attorney-client relationship. 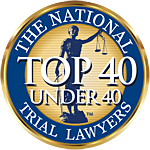 Our efforts and experience have earned us a reputation as reliable and effective lawyers within our community. 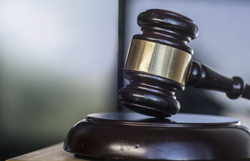 As trial lawyers, we can routinely be seen in court, and our firm’s lawyers are well-respected by the Mecklenburg County District Attorney's Office and Charlotte's Judges. ?Will my NC driver’s license be suspended if I refuse to blow or if I'm arrested for DWI? ?What speeding tickets CAN suspend my North Carolina Driver's License vs. what tickets WILL? ?Can my NC driver's license be revoked for speeding?